A few people have asked us why we decided to move our social media marketing business to the county of Suffolk. If you read our blog post ‘Deep Space Marketing moves from the U.S. to the U.K.‘ you’ll know we originally set up our business in Arizona and moved back to our homeland in June of 2017. So why did we choose Framlingham in Suffolk as our new base of operations? Quite simply, it was a lifestyle choice! 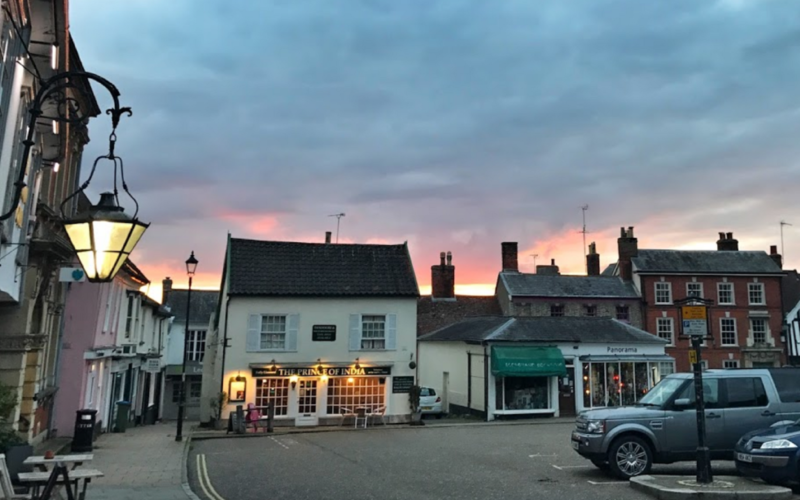 As we explained to the East Anglian Daily Times, Framlingham is just a beautiful place to call home! Luckily for us Framlingham is also home to a great Tech Centre. This is where we have been virtual tenants for the last few months and will soon move in to our own office there. This gives us an even better chance to get to know our community. It’s the people and the businesses that make Framlingham and the Suffolk Coast a great place to do business. We will continue to work with clients overseas and elsewhere in the UK. This is because social media marketing can be handled from anywhere in the world if you have a great communicative relationship with your client. However we will be heavily focused on working with businesses that are building success here in Suffolk. Business to business or business to consumer? Some Suffolk companies are clearly defined as B2C and others work strictly within the B2B realm. Others crossover and promote products and services that work for both categories. We offer social media marketing that will be tailored to your specific needs. So a stronger presence on LinkedIn for B2B clients and a bigger focus on Instagram for companies with a B2C model. The need for impactful social media marketing isn’t going anywhere. Whether it’s Facebook, Instagram, LinkedIn or new and improved versions of all three, people want to know they can communicate with businesses on social media. Are you a business based in Suffolk that is struggling to manage your social media marketing? Get in touch and see how we can help.